The origin of the name of Ardersier has been lost in time but there is no doubt that it has Gaelic roots. It may mean the ‘Headland of the Carpenter’ from the Gaelic pronunciation Ardnasaor. The connection with the carpentry trade is plausible considering that carpenters were based in the area during the 13th and 14th centuries when Fortrose Cathedral was being built. Originally the area was populated in the form of several scattered hamlets. A small fishing hamlet known as Blacktown existed on the peninsula but when this location was chosen for the building of Fort George the population moved westwards along the shore. The building and manning of the fort naturally led to the development of the village as we know it now. For several hundred years Ardersier was composed of two distinct communities who even worshipped in separate churches. 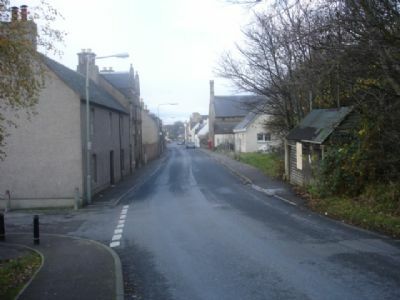 One part of the village was owned by the Earl of Cawdor and was known as Campbeltown and another narrow strip of land, close to the shore, named Stewart-town was owned by the Earl of Moray. Property owners had to pay feu duties to their respective landlords. It was only in the late 1970’s that the village as a whole became officially know as Ardersier. Confusion with the other Campbeltown in the Mull of Kintyre would now become a thing of the past. 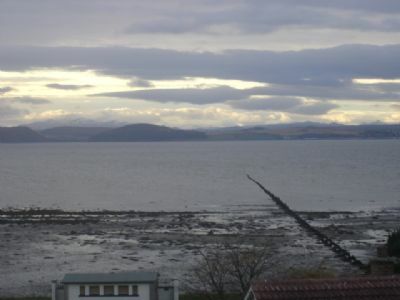 As far back as the 13th century a ferry operated across the Moray Firth at the narrow stretch between the Ardersier peninsula and Chanonry Point. By the mid 18th century the Chanonry Ferry was in daily use as an important link to the north. It became the key route for mail delivery both north and south and a need for a post office was identified. In 1792 Ardersier village post office was first opened and we are fortunate that over 200 years later we are still, just, in possession of a village post office service. Ardersier was once a bustling, self-sufficient community able to supply a wide variety of services to its inhabitants. The village economy was of course closely linked to the presence of Fort George. A survey of 1851 stated that the village boasted, amongst other things, 3 weavers, 3 bakers, 1 saddler, 1 spinner, 1 stocking knitter, 1 milliner and an incredible 15 shoemakers. There were 24 Chelsea Pensioners (retired military) in the village and 14 paupers. 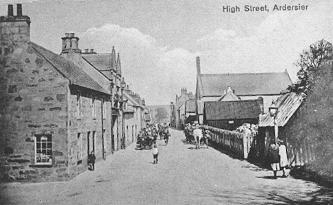 A century ago the village centre would have looked rather different. In 1910 a survey listed some 30 businesses in the High Street alone. Clearly, in Edwardian days, local shopping was easy and convenient. ….a class of people who possess many habits and many superstitious observations quite peculiar to themselves. They never intermarry out of their own tribes, and there is an obvious reason for this on the part of the young men, as no other females would undertake the laborious out-of-door occupations to which their wives are subjected. They carry in creels on their back to great distances immense loads of fish: and they carry their husbands to and from their boats, when from the state of the tide, they cannot get in or out dry-shod. This latter duty influences the fashion of the costume of the females, which, as regards their lower garment, is of peculiar brevity. The women make the nets and bait the lines, and the fishermen when not employed on the vastly deep, do little else than chew tobacco. In the autumn of 1855, a new line enabled passengers to travel by steam train from Inverness to Nairn. Passengers could alight at Fort George Station which was two miles from the village. The station was designed to serve the fort but soldiers had to march 4 miles to their garrison. The situation improved in 1899 when a branch line was opened, taking a track all the way to Ardersier. Logically the new station was named ‘Fort George’ and the old station was given the less romantic title of ‘Gollanfield Junction’. During both World War 1 and World War 2 the rail link played a key role in transporting troops since Fort George was used as a training base. The station finally closed to passengers in 1943 but carried on transporting goods and military traffic for another 15 years until it was finally closed. The Station Master’s House can still be seen at the top of the village. In the village square there is a Victorian Fountain which was placed in the there to commemorate Queen Victoria’s long reign (1837 – 1901). It used to have a water supply and four drinking cups attached to it. The great copper beech tree is about 100 years old. It once had three companions but these have not survived. The village square used to be the site of the traditional Lammas Fair held around the 12th of August every year. This was a great event for the villagers. Lambs, pigs, cows and horses as well as wool, cloth and cheese were bought and sold. Farmers could hire workers to bring in the harvest. Enjoy a stroll around the village. 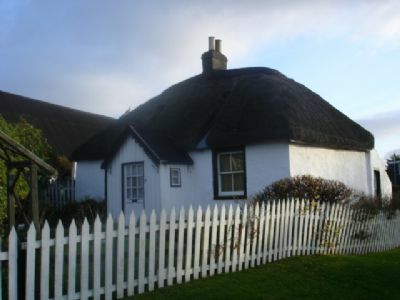 Look out for the one remaining, very pretty, thatched cottage. Originally there were said to be 365 thatched cottages in the village – one for every day of the year! In the West Highlands and Islands, the sooty thatch was removed each year to be used as top dressing for potatoes. As chimneys started to replace the hole in the roof, the practice died out in the early 19th century. Up to the 1950’s there were still a dozen cottages with thatched roofs. If you take a walk along the shore path, towards Inverness you will see the remains of the pier. The pier was built at the turn of the century but gradually fell into disuse and was removed in the late 1970’s. On the same path look out for a long corrugated iron hut on the side of which is painted a St Andrews flag, facing the sea. The purpose of this was a navigational sighting for boats using the Moray Firth. A walk along the shore path in the direction of Fort George will take you past the Ardersier Pocket Garden which was opened in June 2004. The garden was a project of Junior Ardersier and Petty Environmental Society working with the Scottish television programme, the Beechgrove Garden. This lovely garden was created for the whole community to enjoy and we hope you will visit it too and enjoy its special, tranquil atmosphere. When the Ross-shire hills are seen very distinctly in the morning, coming rain is foretold: when a haze or dry mistiness renders these hills or any distant object less distinct, a dry day is indicated. Make sure that you find time to visit the very impressive and handsome Fort George which is less than 2 miles from the village. It is possible to walk there via the shore path – it’s easy to see where you are heading – but be careful that you have stout footwear as the path eventually turns into shingle beach. After the Battle of Culloden (1746), the fort was built to contain any possible threat against the Crown. This huge fort, which could hold 2000 men and 25000 barrels of gunpowder, was designed to terrify any future Highland rebels. The fort was designed by William Skinner and eventually completed in 1770. One thousand workers took over 20 years to build it, under the direction of William Adam and his son John. William’s other son, the famous Scottish architect Robert Adam, also influenced the design. Fort George is the only Ancient Monument in Scotland that still retains its original function – a working military base. It is run by Historic Scotland and is open all year round. 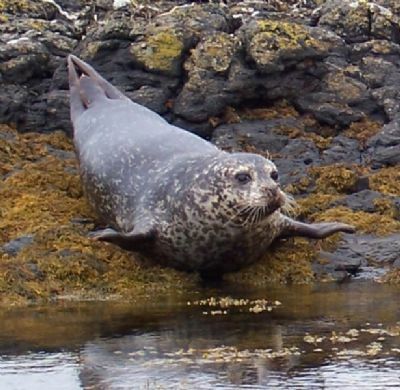 Remember to look out for dolphins, porpoises, minke whales and grey seals whose playful behaviour can often be observed from the ramparts of the fort.